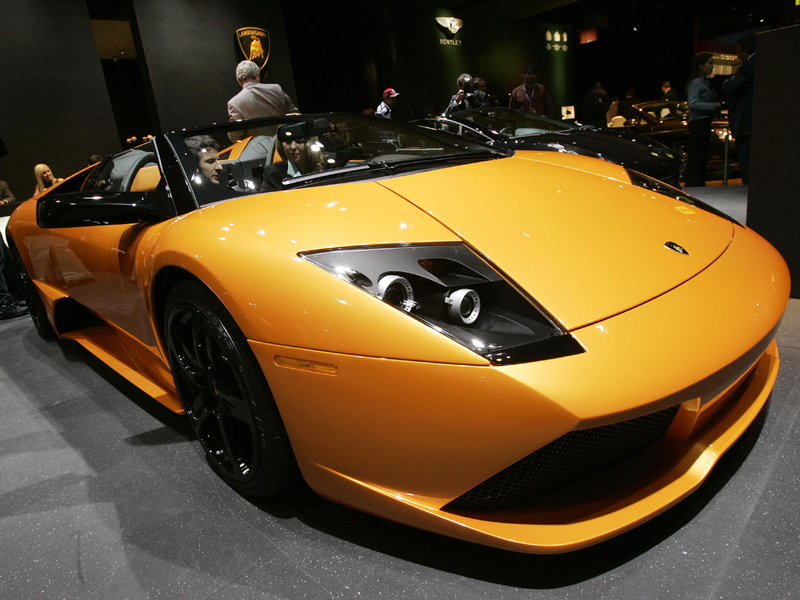 SANTAQUIN, Utah - A Utah man who won a $380,000 Lamborghini in a convenience store chain's contest crashed the sports car six hours after he got it. The lime green Murcielago Roadster was set to leave for a Las Vegas body shop Wednesday for repairs, just days after Santaquin resident David Dopp won it in Maverik stores' "Joe Schmo to Lambo" contest. "Yeah, I got it on Saturday and I wrecked it on Saturday," Dopp told KSL-TV. He said he was taking friends and family on joy rides that evening on the outskirts of town. He said he took a curve at 40 or 50 mph when the vehicle hit ice or loose gravel and started spinning. The car crashed through some fence posts before coming to rest in a field. Dopp wasn't injured, but his wife said she was shocked. The 640-horsepower Lamborghini has front-end damage, a punctured wheel and scratches along the passenger side. The vehicle is insured. David Dopp was videotaped last month jumping up and down and hollering in speechless disbelief when contest officials announced during a college football game that he won the car. The giveaway, which awarded participants for using a rewards card at Maverik stores, was co-sponsored by nonprofit organization "teamgive," which raises awareness about rare neurological diseases. David Dopp said it was strange seeing the flashy, exotic car in his humble driveway. He told ABC 4 in Salt Lake City that he plans to sell the vehicle to pay off bills and buy his wife another car  as soon as the Lamborghini's drivable again. "It's going to be all nice and pretty here in a couple of months, I'm sure," David Dopp said.